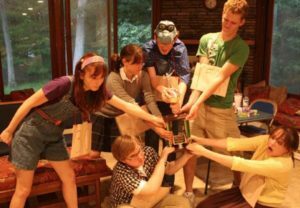 The Un-Common Theatre Young Adult Company is delighted to announce the second of their summer shows, the Broadway hit The 25th Annual Putnam County Spelling Bee. 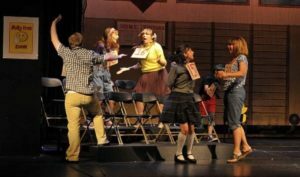 In this Tony-Award winning musical comedy, six young people in the throes of puberty, overseen by grown-ups who barely managed to escape childhood themselves, learn that winning isn’t everything and that losing doesn’t necessarily make you a loser. 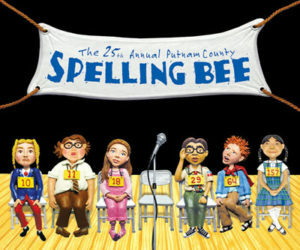 With its enormously appealing cast of lovable misfits, The 25th Annual Putnam County Spelling Bee hilariously captures the angst, exhilaration, and heartache that makes growing up so painful and so wonderful. This program is supported in part by grants from the Easton, Foxboro, Mansfield and Westwood Cultural Councils, local agencies which are supported by the Massachusetts Cultural Council, a state agency.